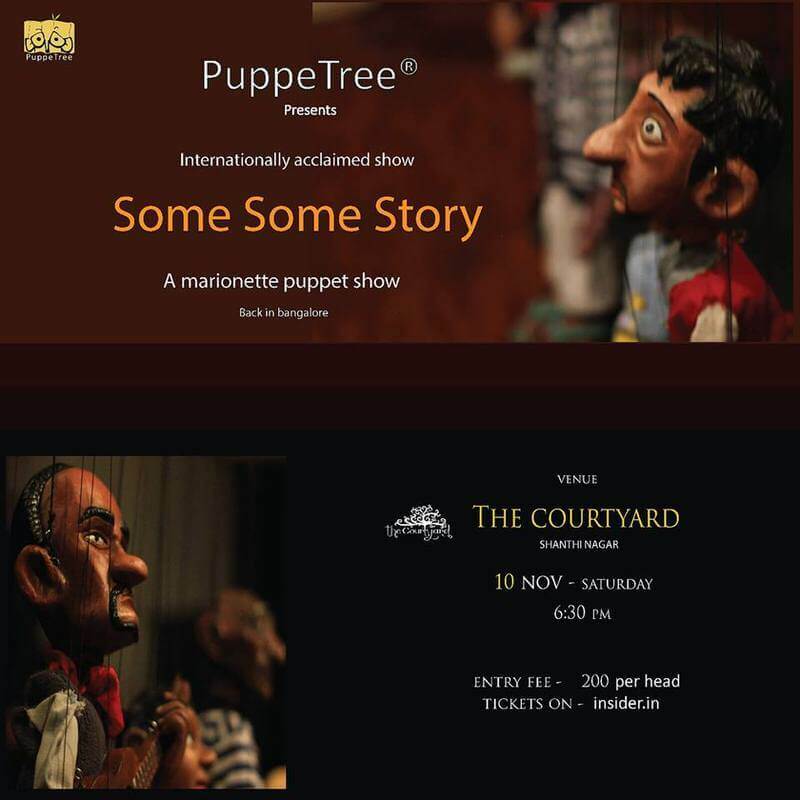 PuppeTree presents Some Some Story – an internationally acclaimed marrionette puppet show. A contemporary live puppet show that will take you to a magical world away from your squeaky gadgets. Some Some Story consists of two different stories, Thatha story and Tori story. PuppeTree is the only Indian team to represent the country in 40 years at the International Puppetry Festival held in Germany.